Pronghorn munch on sage brush in Wyoming's Red Desert. 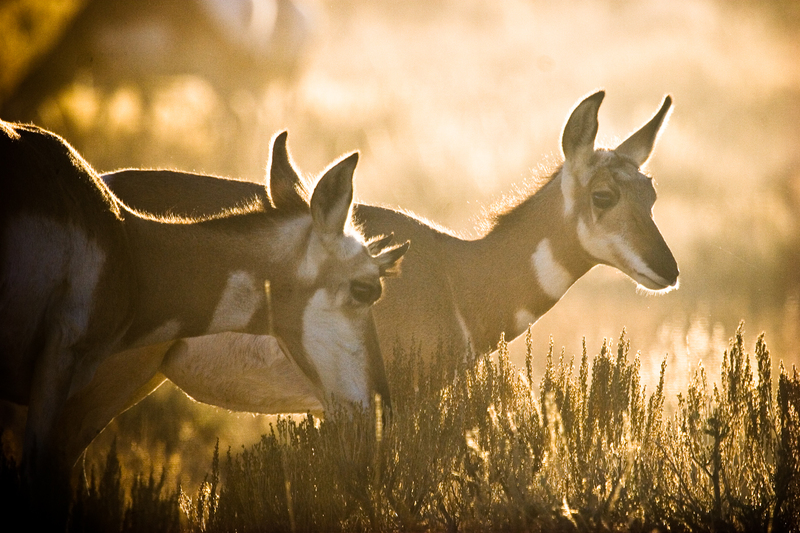 There are about 50,000 pronghorn in the Red Desert, also a key part of the migration route. Energy Development, habitat fragmentation and urban sprawl are key threats to pronghorn and the maintenance of their migration corridor.